Photography is a word derived from the Greek words photos ("light") and graphein ("to draw") The word was first used by the scientist Sir John F.W. Herschel in 1839. 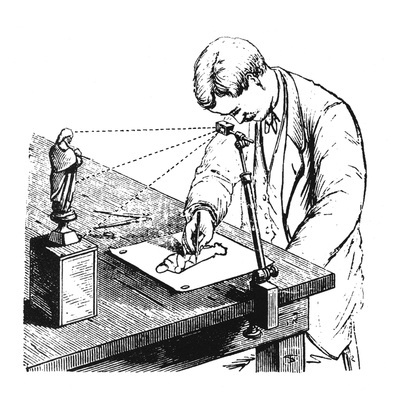 It is a method of recording images by the action of light, or related radiation, on a sensitive material. 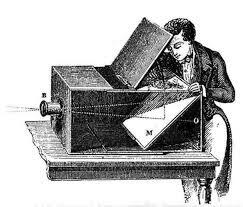 Many, many years ago camera obscura's were used to form images on walls in darkened rooms which formed images using a pinhole. 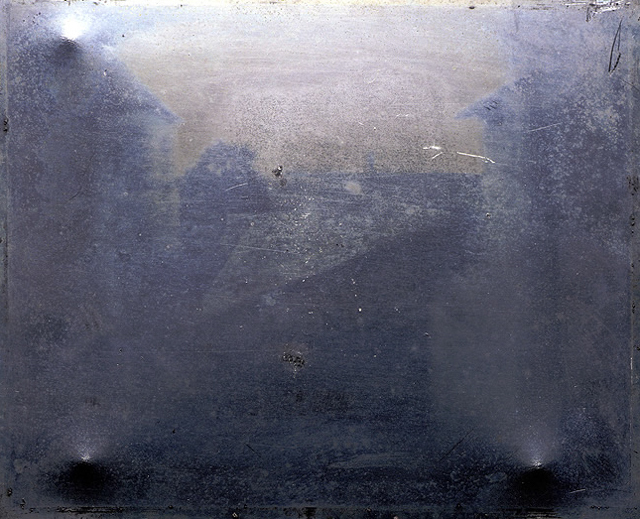 During the years after that, camera obscuras were used frequently up until the 1800's where the camera obscura was combined with photosensitive paper in 1826, by Joseph Nicéphore Niépce. His famous first photograph was taken from the upstair’s windows of Niépce’s estate in the Burgundy region of France. 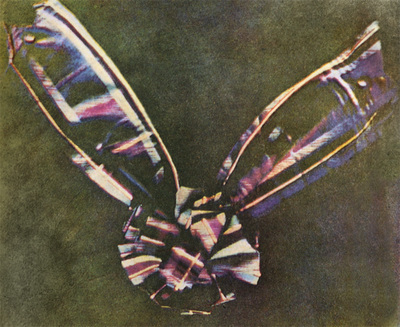 In 1834 Henry Fox Talbot created permanent and negative images using paper soaked in silver chloride and fixed with a salt solution. This is still used by us in the 21st century. In 1948 the polaroid camera was first marketed, it is still used to this day but as a modernised version. In 1962, polaroid introduces instant colour film. 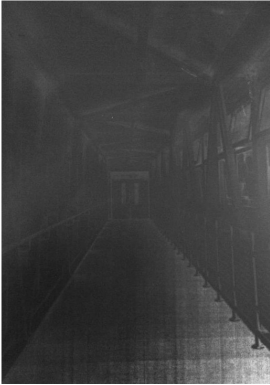 Camera Obs﻿cura: an optical device that projects a realtime image through a small pinhole (or lens) into a darkened room. The “camera” in the name is latin for “chamber”. This is where we get the word “camera” from when referring to the photographic device. Camera Lucida: an optical device which merges an image of a scene and the artist’s hand on paper for tracing. This photo was taken at my home in 2003 using a disposable camera. Society in that time was very different with not very much technology and innovations around. 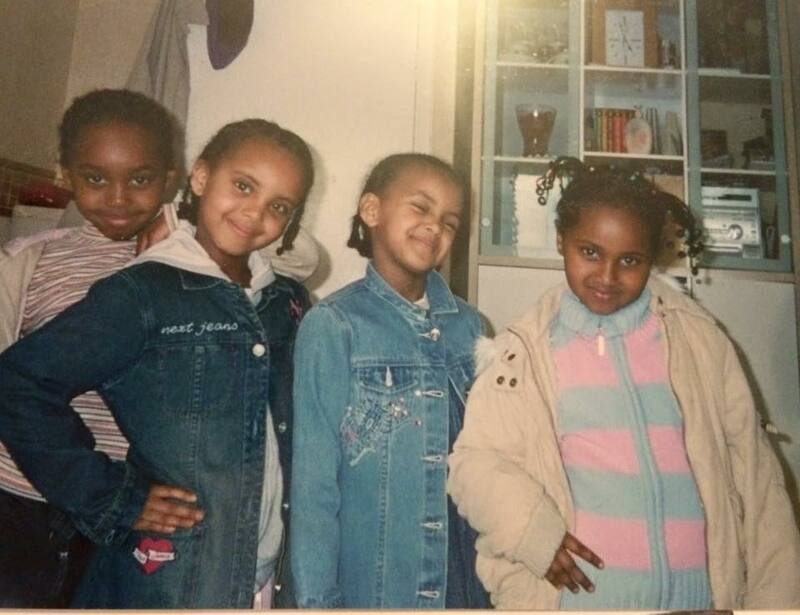 You can tell the quality of the photo was good for that time but compared to the quality 10 years later it isn't amazing at all. The photos on the disposable camera are normally taken to a shop to then be developed. This is very different to photos now as there are apps you can send photos from your phone to be printed and sent straight to your front door. 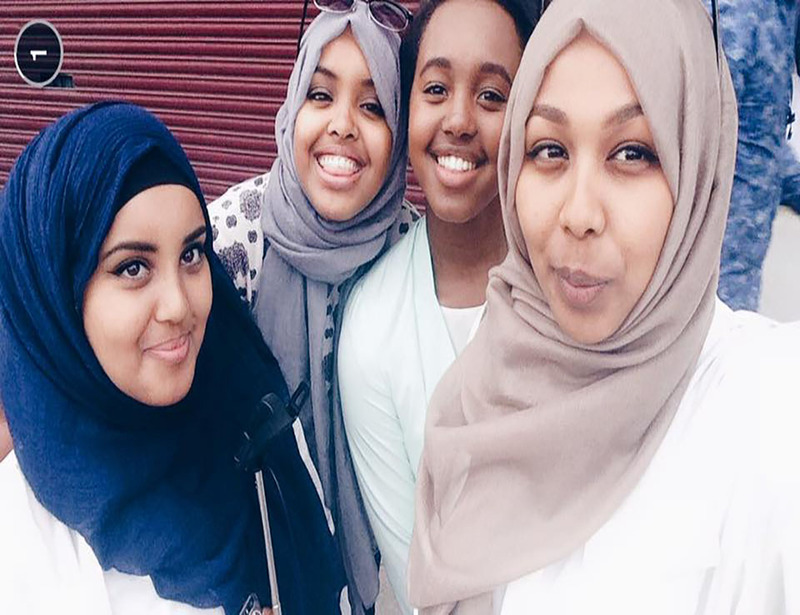 This photo is a group "selfie" - a photograph that one has taken of oneself, typically one taken with a smartphone and shared via social media. As technology is now very advanced, most photos are taken on smartphones with cameras of high quality and can be edited to look even better. Society is now very technology based for example"Selfies" are taken almost everyday by people and has taken over lives. Contrasting the two photos, you can see a big difference as just over 10 years ago people would take photos of others and the photos were not able to be edited or seen while being taken. On the other hand, there also seem to be similarities between the two photos. This is highlighted by the positioning of the people in the photos. This is because cameras have a certain width and to maximise the amount of people able to be photographed, the positioning in the photo is effective. For this task, we were asked to go around the school and take photos of interesting patterns and shapes. I took many photos of things that had specific patterns and of things I thought would come out strongly on the photogram. Eventually I picked an interesting picture of the school bridge. It had many patterns, lines and structures that I felt came out quite well on the photo. However I found using the dark room quite hard as I didn't know how long to expose the light for and had to repeat it several times. After collecting objects with different transparencies, shapes and sizes, we made photograms of them using photographic paper in the dark room. 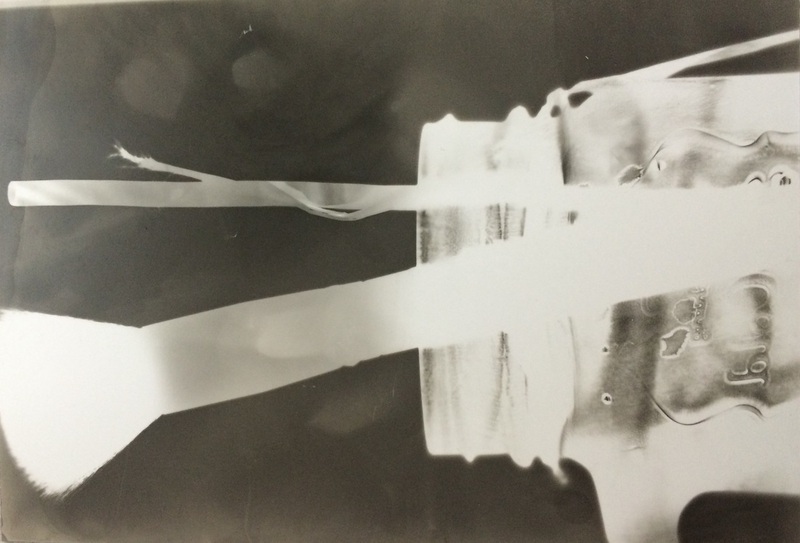 Using objects such as a light bulb, make up brushes and a transparent jar, we placed them on photographic paper and exposed it to light for a specific amount of time, however this was fairly hard to do as sometimes a few of the objects wouldn't show up on the paper. Placing it in the developer tray for more than a minute resulted in the photo becoming black and therefore we had to repeat this multiple times to get it right. 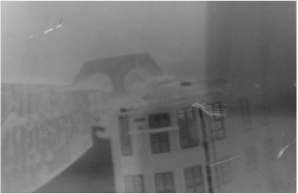 Taking photos with a home made pinhole camera made with a crisps tin and foil, seemed a big task. You had to find the right lighting to do it in and as you cannot see the end photo when it has been taken, it made it so much harder to do. You had to develop the photo before seeing it and most photos did not turn out too well due to many factors. 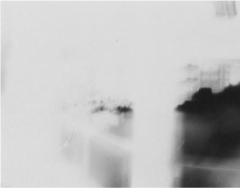 One reason may be because a pinhole camera is obviously an old invention and comparing it to a digital one may not be seen as a camera at all by some people. Photo 3 was the most effective one as you can see the outline of the building, however I may have occidentally opened it while moving, exposing another area. Photo 2 you can faintly see the window, this photo was moved while exposing making it blurry. The shutter speed is is how quickly the shutter opens and closes. The longer the shutter speed, the more light gets into the camera. Shutter speed is measured in a fraction of a second and is used alongside aperture. A fast shutter speed would be needed to capture movement whereas a slow shutter speed would be needed to create a blur. For these photos I used the shutter speed of 1/300. This meant that the subject's movement were portrayed. Here we took photos using a black and white film camera. We used different apertures and shutter speeds depending on the photo, a faster shutter speed for pictures such as jumping. The film camera uses the properties of light to produce an image on a piece of film, called a negative. 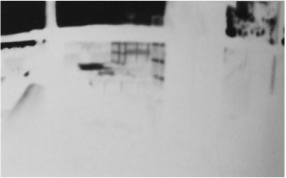 Then, the negative goes through a chemical process to create the final picture. After developing the film, we decided to enlarge one, using the exposure technique. 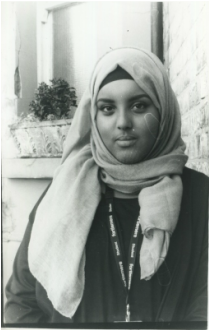 It was quite difficult to get the photo to be the best quality but I was happy with both the outcomes of the film and enlargement. Most of the film pictures came out very well, some were blurry due to using the wrong aperture. 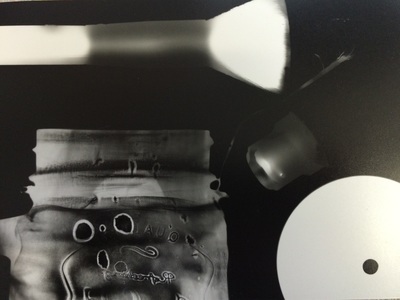 We exposed on photographic paper and left in the chemical developer. However you can see defects in the photo and tiny scratches which I would try to improve when doing this again.